The sun shone and the canapés were plentiful as a marquee full of lucky People's Postcode Lottery players mingled nervously on Saturday. All were winners, but nobody knew how much of the enormous Millions Draw £2 million prize pot they would take home. Some of the charities that have benefitted from grants this year arrived to thank the winners for taking part - a whopping £47 million has been raised for charity through ticket sales so far. Missing People is so grateful to have the on-going support of players of People's Postcode Lottery and I was thrilled to be able to thank so many players in person. As the tension built, a winner from the last Millions Draw came on stage to tell us how it had changed his life. He's been able to pay off his mortgage, replace his broken down car and take his family on a much needed and well deserved holiday. Ripples of anticipation could be felt around the marquee! Then the waiting was over and the prizes were announced, with each winner tentatively opening a giant gold envelope to reveal their prize, with whoops of excitement and tears of joy! 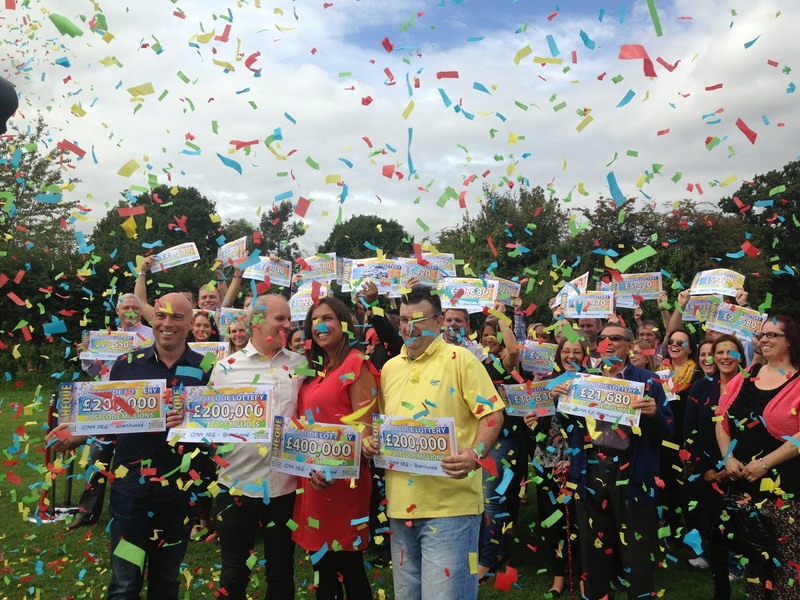 Everyone was delighted to be part of the People's Postcode Lottery family and to share the experience together, from the staff, to the charities who benefit, to the players who had won often life-changing amounts of money. One winner explained how he had never won anything before and had thought it was a joke when he got the call to say his postcode had been drawn. Another shook with nerves and broke down in tears after she told the crowd how she had always wanted to treat her children to a once-in-a-lifetime holiday. One couple told me how they hoped to win enough to buy a new car...ten minutes later they had won a brand new BMW as well as enough petrol money to last them for years! Fantastic! I was honoured to share this amazing day with the fantastic staff at People's Postcode Lottery and all the wonderful players, who make it possible for Missing People to continue delivering vital services to missing children and adults and all the families we support. I will definitely continue playing the People's Postcode Lottery, keeping my fingers crossed that my postcode will be a winning one soon!